"L'audace, l'audace, toujours l'audace." -- General George S. Patton and his alter ego, Napoleon, made "Audacity, audacity, always audacity" a famous phrase encouraging bold courage in the face of great challenge. John Bell Hood displayed many of the qualities of Patton -- something recognized by his battlefield foes including Gen. George H. Thomas, who defeated Hood's forces at Nashville in the closing weeks of 1864. What is there about Confederate General John Bell Hood (1831-1879) that made historians and many of his fellow Confederate comrades in arms want tear him down? This destruction was taking place at the same time Union commanders praised the leadership qualities of the Kentucky native who is forever linked to his service on the frontier in Texas. The sprawling Fort Hood army base in central Texas is named for John Bell Hood. Stephen M. "Sam" Hood of Huntington WV devotes an entire book "John Bell Hood: The Rise, Fall, and Resurrection of a Confederate General" (Savas Beatie LLC, Eldorado Hills, CA, 384 pages, $32.95) to setting the record straight on Hood, who resigned after his army was defeated by Union Gen. George H. Thomas at Nashville, Tenn. at the end of 1864. Sam Hood's tome -- the product of ten years of exhaustive research, with access to previously undiscovered documents -- is the latest in a series of books that aim to resurrect John Bell Hood to his proper place in the pantheon of Civil War generals. In his lengthy and informative foreword to Sam Hood's book about his collateral ancestor, Thomas J. Brown, who died before the book was published, blames much of the criticism of Gen. John Bell Hood on the "Lost Cause" ideology practiced by Virginians. They needed a scapegoat and the general who dared to comment on the battlefield shortcomings of Gen. Joseph E. Johnston was targeted by the Virginians as a scapegoat. Johnston, born in Farmville, VA in 1807, outlived Hood by more than a decade, dying in 1891. That gave Johnston plenty of time to build up his reputation and tear down that of Hood. It's no secret that Virginians considered themselves a cut above the other states of the Confederacy. Too, there's the matter of the departure of the Southern Historical Society from the South's largest city, New Orleans, to the former Confederate capital, Richmond, VA. The society was formed in New Orleans, where Hood moved after the war, but left for Richmond in 1873. Hood was a businessman in New Orleans and died in 1879 of yellow fever along with his wife. His memoir "Advance and Retreat: Personal Experiences in the United States and Confederate States Armies" was published posthumously tin 1880. In the introduction -- which should be carefully read, please don't skip it -- the author says that "some reviewers might call it [the book] a hagiography of General Hood and say that it lacks balance. 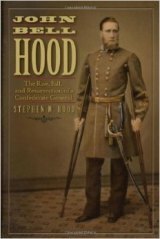 In fact, this book does not require balance because it represents the balance that is missing from most modern books and articles that have been published about Hood and his tenure as commander of the Army of Tennessee." Acknowledging that most Civil War history buffs will read books by authors like Wiley Sword, James McDonough, Thomas Connelly, and others, Hood says his wish is that readers use his book in conjunction with those who've portrayed General Hood in an unfavorable light. The author describes the battles fought by Hood and his armies, noting in details the errors and distortions historians used to demolish John Bell Hood's reputation. I was as shocked as the fictional Captain Renault in the classic movie "Casablanca" to find that Hood's published version of many of the major events and controversies of his Confederate military career were met with scorn and skepticism. Some described his memoirs as nothing more than a polemic against his arch-rival Joseph E. Johnston. The publisher, on the Savas Beatie website, notes that "These unflattering opinions persisted throughout the decades and reached their nadir in 1992, when an influential author described Hood's memoirs as 'merely a bitter, misleading, and highly distorted treatise' replete with 'distortions, misrepresentations, and outright falsifications.' Without any personal papers to contradict them, many historians and writers portrayed Hood as an inept and dishonest opium addict and a conniving, vindictive cripple of a man. One writer went so far as to brand him 'a fool with a license to kill his own men.' What most readers don't know is that nearly all of these authors misused sources, ignored contrary evidence, and/or suppressed facts sympathetic to Hood." This is the first time I've seen the author's debunking of the myths surrounding Hood -- and I found it refreshing. Writing history is as much of an art as it is a science, maybe more art than science, so it's important that opinions in history books be backed up by facts on the ground, or on the battlefield in the case of war histories. Stephen M. Hood expected his work would be met with derision by historians --- and was pleasantly surprised when it was praised and honored. The book was selected as the 2014 winner of the Albert Castel Book Award. The award is given biennially by the Kalamazoo Civil War Round Table to authors writing on the subject of the Civil War in the Western Theater. "The North Shore CWRT of Huntington, Long Island, New York (the hometown of Walt Whitman) has named my book their 2014 Walt Whitman Award as the year's best Civil War book. I'll receive the award in Huntington on Sept 4, 2014." There's a pattern here that reflects the Union appreciation of Gen. John Bell Hood, with two Yankee CWRT's recognizing his qualities! Stephen M. “Sam” Hood graduated from Kentucky Military Institute, Marshall University (BBA, 1976), and is a veteran of the U.S. Marine Corps Reserve. A collateral descendant of General Hood, Sam is a retired industrial construction company owner, past member of the Board of Directors of the Blue Gray Education Society, and a past president of the Board of Directors of Confederate Memorial Hall Museum in New Orleans. 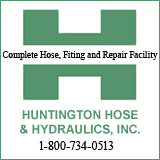 He lives in his hometown of Huntington, West Virginia, with his wife of 35 years, Martha, and is the proud father of two sons: Derek Hood of Lexington, Kentucky, and Taylor Hood of Huntington, West Virginia. About Savas Beatie LLC: Savas Beatie LLC is a leading military and general history publishing company.